You lovely guests often tell the world all about your Potters break and post wonderful comments on Facebook and TripAdvisor. This year we would love all of you staying on our family Summer breaks to show us how much fun you are having by filming a vlog! 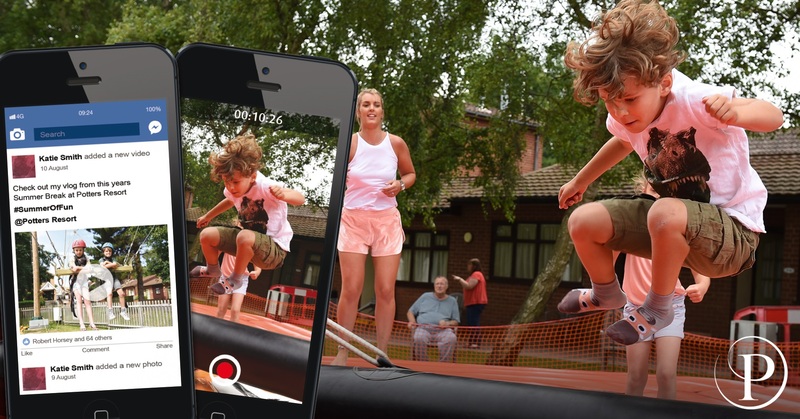 So, get your camera phones ready during #SummerofFun Family Festival for our Potters Vlogger Competition and capture all the fun you have at Potters in a 60-second video. If you’re a winner you’ll become our next social media star. Your vlog will be featured across our social media platforms, reaching well over 125,000 of our fans (so make sure you don’t submit anything you wouldn’t want to be broadcast to a larger audience, or any images or music you don’t own the copyright for). For those who don’t know, a vlogger or video blogger is someone who shares their thoughts, opinions or experiences via video content. But, before you panic, we’re not asking you to stand in front of a camera and perform a monologue or create an epic movie. We simply want you and any children over the age of 12 to put together a short 60-second video highlighting all the fun you experience on your Summer break. It could be a series of videos or pictures capturing special moments throughout your stay, or a summary of what you did each day. There is no shortage of things to capture at Potters, but here’s some ideas to get you started: tackling the new two-arm sweeper, experiencing your first encounter with a Royal Python, reaching new heights on our climbing wall, beating your score in archery or overcoming your fear of the Giant’s Swing. 1) Use your camera phone to record videos or capture pictures you want to be able to share in your vlog. Don’t go overboard though as you’ll end up using all the storage on your phone and have too many clips to narrow down. Tip – decide exactly what clips you want to include in your vlog before you start filming. As a general rule you want each clip to be at least 5 seconds long when you piece the final video together, so for a 60-second video, you’d be looking at capturing 12 different clips to start with. 2) Using a video editing app on your phone, combine and edit the video clips together. This is where you can get creative! You can add text-overlays to your video, filters and include an introduction to the video. Tip – There are various video editing apps available, but if you’re a beginner we suggest you use the iMovie app on the iPhone or vlog it on Android. Both apps are free and offer guidance, and are simple and easy to use. 3) When you’re happy your video export or save it in the app you created it in and then upload it to your preferred social media account tagging @PottersResort. When you tag us, we’ll add your video to our Potters vlog entries. After our closing date on Monday 10th September, we’ll watch and pick one lucky vlog to be promoted across our marketing and social channels. So make sure your camera phones are fully charged, perfect those camera angles and get creative by becoming a Potters vlogger! 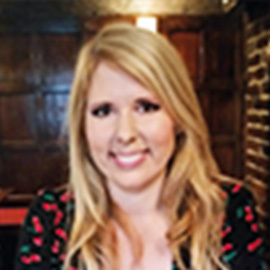 Danielle has over 10 years’ experience working in PR and communications, and loves entertaining Potters guests with news from across the Resort. Danielle focuses on what happens behind-the-scenes at Potters, introducing you to members of the team, giving you all the gossip on new Potters Theatre Company shows, and interviewing some of the stars gracing the Atlas Theatre stage. She also enjoys speaking to guests about their Potters breaks... making you the star of the blog!